DAMASCUS: A 54-year-old Argentinian woman who was lured into war-wracked Syria two years ago on a marriage promise was finally on her way home on Saturday, a Syrian rebel official said. History teacher Nancy Roxana Papa had accepted the invitation of a Syrian man she had met online three years earlier and travelled to Turkey in 2016, before entering Syria. “She returned to Turkey on Saturday after the required legal documents… were completed” for her entry into Turkish territory, said Bassam Sahiouni, an official from the local rebel authority in Idlib province. On October 30, the “Salvation Government” — set up in rebel-held Idlib by the Hayat Tahrir al-Sham (HTS) group — handed Papa over to the Humanitarian Relief Foundation, a Turkish non-governmental organisation, at the Bab al-Hawa border post. She then had to remain in Syria for over a month to await completion of administrative and legal procedures for her repatriation. The Argentinian teacher had appeared on October 30 at a news conference organised by HTS at the border, where she thanked her country’s diplomatic services, the Turkish authorities and the “Salvation Government”. 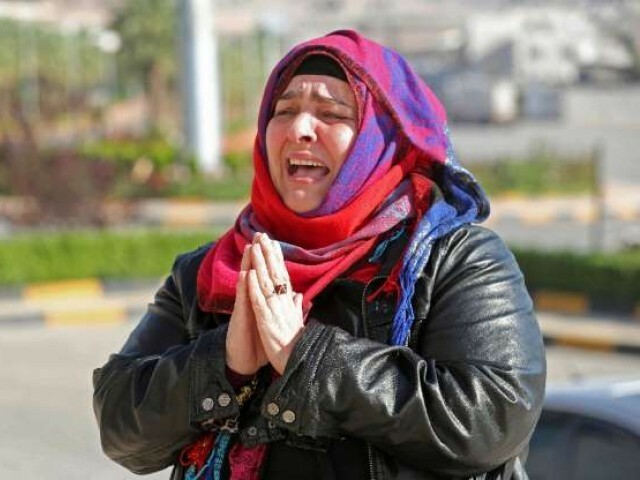 “You saved my life,” she said that day, drying her tears after Sahiouni explained the circumstances of her misadventure. Sahiouni had given an account of the teacher’s apparent ordeal at the news conference. She met the man posing as her future husband in a hotel in Turkey and “he told her they would go to Syria to greet his parents,” the rebel official said. She entered Syria illegally in 2016 and was immediately kidnapped by a gang that was waiting for her on the other side of the border and contacted her daughter to demand a ransom, Sahiouni said. He added that she managed to escape from her captors after a year and survived in the war-torn area by staying with residents and moving from home to home. The “Salvation Government” sought to address the case earlier this year and tried without success to contact Argentina’s foreign ministry, before the Humanitarian Relief Foundation eventually dealt with her situation, Sahiouni said. Last year, HTS reunited a Belgian girl with her mother, after the death of the four-year-old’s father, a radicalised criminal who had entered Syria with the child in May 2017. In February 2018, the same authorities handed over to Turkish officials two Canadian nationals who were held for several weeks after entering Syria for obscure family reasons.